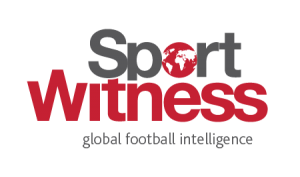 Having allowed Cedric Soares to join Inter Milan in the winter market, Southampton are looking to bring in a replacement for him before the window closes today. Het Belang van Limburg reported on Wednesday the Saints are interested in Genk’s Joakim Maehle, who has been first choice right-back for the Jupiler Pro League club this term. It was claimed the Premier League club have submitted a €11.5m bid for the Danish defender and the same publication now has an update in today’s edition. 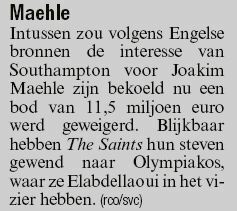 HBVL explains the South Coast club’s latest offer has been ‘rejected’ by Genk, which is why they’ve cooled their interest in Maehle and turned their attention towards Omar Elabdellaoui of Olympiacos. Laola1 brings more update on the English outfit’s chase for the Norway international as they report that Ralph Hasenhüttl is ‘interested in signing’ the player. The Southampton manager sees Elabdellaoui has a replacement for Soares at St Mary’s Stadium and they have less than a day to seal the deal for the right-back.